On March 6, my school division partnered with our Catholic partners for our annual Teacher’s Convention. It’s one of the few formal events that brings the two divisions together (and one of the few that brings our own together, even by itself). No matter the theme of the day, I always enjoy getting a chance to catch up colleagues and friends. To arrive there, I chose two wonderful carpool buddies: Lindsay and Jamie. I met these at an ECE Institute in our graduate studies and have been so enriched by them both. Lindsay’s a Kindergarten teacher who carries a passionate advocacy for recognizing capability in our youngest learners; Jamie is now a Teacher-Librarian who could help even the toughest critics understand why promoting authentic reading is important for all. I enjoy their company for their friendship, but also for how much I learn from each after every conversation. Lindsay and I share a school division, but teach ten minutes away; Jamie represents RCSD and is just a little further away. Despite our close distance to one another and our many shared interests, this is the one school-sanctioned event that we get to share together. 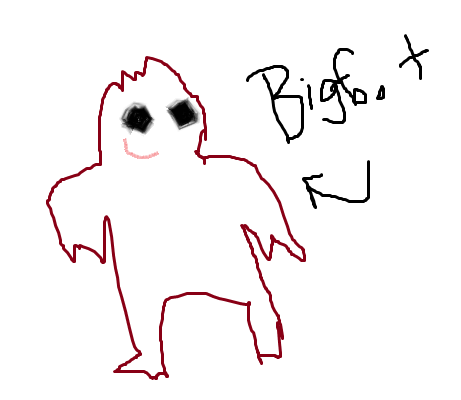 I should have just said that I’d seen Bigfoot. It would have been more believable. The truth is, I don’t know how possible it is to lead a classroom without having strong ideas about how to organize it, and while I’m happy to let my car house my 20 pairs of shoes and mystery boxes (among other things), my school life has always been well-maintained. I may not be able to tell you when my poor little Fit had its last oil change, but I can tell you exactly where my February Math assessment from four years ago is stored. 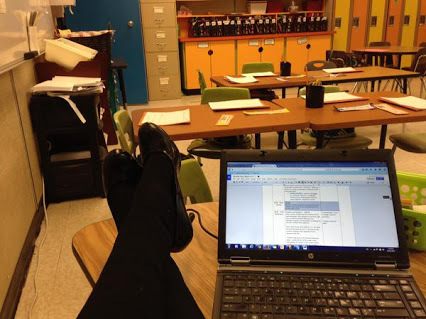 It’s possible that the time I spend making sure that my classroom is running smoothly is a large part of the reason I’m less organized in other aspects of my life, but that’s a post for another day. Really, as far as organization goes, that’s the extent of my strategy: pour extensive time into it. …I’m sure that there’s a more efficient way, yes. Whenever I sit down to write, it’s difficult to ignore the nagging feeling that I should be working on my thesis, or planning for lessons, or anything of that sort. And all of these things are generally enjoyable! (Most of the time.) But I’ve been missing the space to just write and connect for the sake of it, and it’s easy to forget how much this kind of “work” can help with the rest. PS – Consider this a plug to join #saskedchat every Thursday at 8 p.m. (Saskatchewan time)!